The era of offering mass-produced sentimental gifts is coming to an end, and the preference for thoughtful, individual tokens that reveal the giver’s intimate knowledge of the recipient’s tastes seems to escalate yearly. Nowhere is this trend more apparent than in the most romantic of bequests, the engagement ring. More women are clamoring for unique settings that set them apart and showcase their distinctive personalities than ever before. Fortunately, there’s a multitude of fashion-forward and modern rings that cater to the discerning interests of strong ladies who know who they are and what they want. From a name-taking bank CEO who favors architectural vintage settings to the unconventional hipster barista with a penchant for pear-shaped stones, there’s a ring for every miss. Here are a few of the top unique styles for the unclassifiable girl. It may seem counterintuitive to display one’s individuality by selecting a second-hand ring, but vintage pieces are becoming quite popular on account of their decorative settings, variety of styles and romantic anachronism. Vintage rings also stand out grandly from the basic solitaire setting with their architectural bands that often employ delicate filigree designs or layered stones of many sizes. They have an unabashedly luxurious look without relying on one grandiose rock to impress. As a result, in addition to being feminine, charming and memorable, they’re generally more affordable. Many modern brides-to-be chafe at the notion of permanently donning a conventional cushion or square cut diamond simply because it’s traditional. These days, the truly atypical opt for modern rings that riff on the status quo while still representing the sentimental nature of this special token of love. Whether utilizing an unusual material like wood or brass, bucking symmetry trends with a band shaped like a telemetry display, or rejecting the inclusion of any gemstones, the stunning variety of contemporary engagement rings is sure to delight even the most idiosyncratic lovebird. For some, buying off-the-rack will never do. For an undeniably unique engagement ring, one must custom order a design. For better or for worse, her wedding typically signifies the most important day in a woman’s life. More than a few hopeful romantics fantasize about every nuance and detail of that coveted future event, and chief among those daydreams is the look of that longed for ring. Customizing the ring ensures a one-of-a-kind product that represents the special bond between two individuals, which no one else can claim. 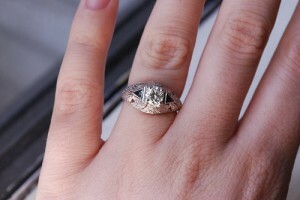 A custom ring is the perfect choice for the lady who wants total fulfillment, and hates to share. The preference for simple and classic rings featuring one statement-making rock has given way to the desire for singular pieces that portray the modern woman’s individual characteristics in a tasteful and often whimsical way. Today’s bounty of distinctive designs offers each future missus an opportunity to show off her unique beauty with just a wave of her hand. It’s time to dress up, ladies (and gentlemen)! If you’re one who normally prefers to dress “down” rather than “up”, you now have the perfect opportunity to show some sparkle by dressing up for all those parties and get-togethers in the coming weeks. And the simplest way? Through a good party dress. 1. You just throw it on – no need to worry about matching/coordinating as with separates. 2. There’s just something about wearing a dress that makes a woman feel instantly feminine and good all around (provided it fits well). 3. Dresses are easy to find and surprisingly cheap these days. 4. For even more penny pinching, use an old “Little Black Dress” and simply glam it up by adding on some statement jewelry like some chunky jewelled cuffs or an interisting necklace. If you still don’t have that LBD wardrobe staple (shame on you! ), do yourself a favour and buy one today. 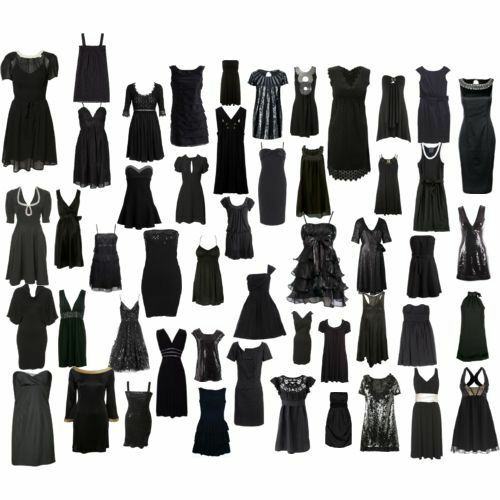 Try Top Shop for some cool LBD’s that will last years. H & M also has finds that will keep your Christmas budget lean and healthy. 5. Lastly, don’t forget good undies. A good dress will look even more fabulous on you when you make the effort to wear the “streamlining” kind like shapewear. Its not cheap, but unless you are a pilates fanatic with buns of steel, it is so worth the expense.